Beautifully designed gift certificates are available for birthdays, holidays, or any other special occasion. Once paid for, the gift certificate can be mailed directly to you, or to the intended recipient. 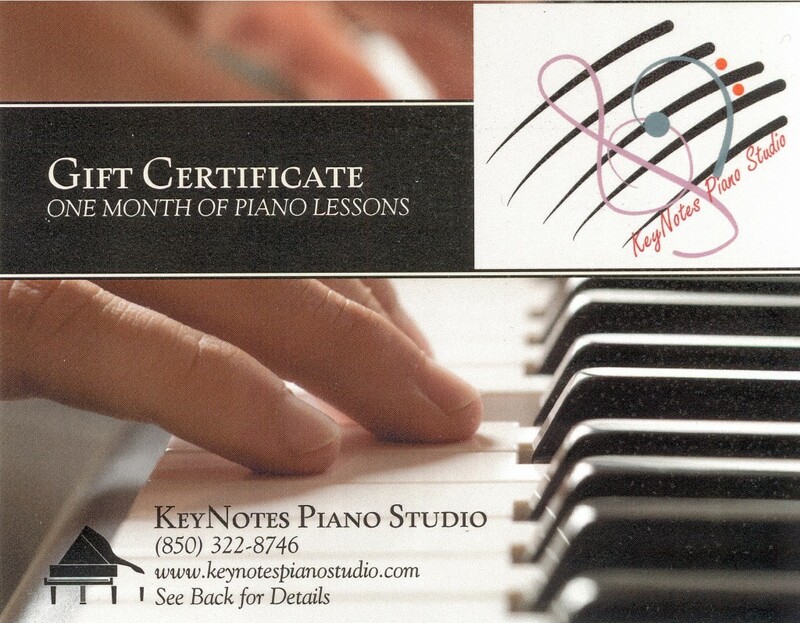 Gift certificates entitle the recipient to once month of free piano lessons in his or her home. 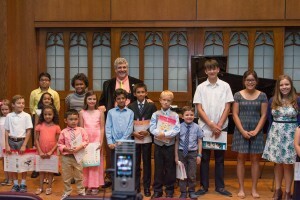 Since 1996, KeyNotes Piano Studio has helped local public and private schools, non-profit organizations and charitable organizations raise thousands of dollars through the donation of gift certificates. If your organization is interested in receiving some gift certificates for your silent auction or other event, please contact Mr. Garcia-Bolao at (850) 322-8746. -For families with more than one student, the second student receives the first month of instruction free. -For families with more than two students, the third student receives the first two months of instruction free.